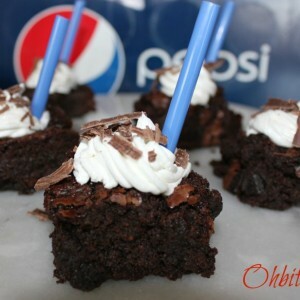 SO moist and flavorful, with just a hint of that signature Pepsi flavor in the background, taking each bite to uncharted, brownie flavor territory! In a medium bowl add the Brownie mix, egg, and Pepsi..mix well! Frost them and sprinkle the tops with some pretty chocolate curls!